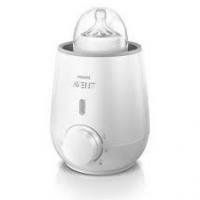 We bought the Philips Agent starter kit including bottle steriliser, and have been very impressed with it. 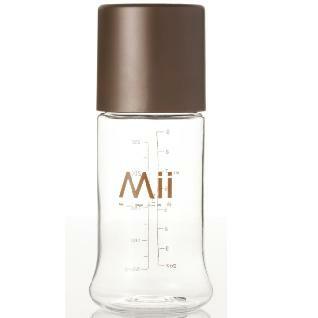 However, the same cannot be said about the bottle warmer (sold separately). We had high hopes that this would save us time and hassle, as anyone bottle feeding a newborn infant will testify that timing is everything to avoid stress and tears. It looks great, and after reading the instructions was simple to use. The 'keep warm' function is also useful, but that's where the compliments stop. First of all, the claim that it can heat a 120ml bottle from the fridge in 3.5 minutes is completely false. It takes at least 6 minutes to bring it up to body temperature. Now, considering this was a MAJOR advertised feature, it really has been a great disappointment to say the least. Previously, we dropped the bottle into a cup of kettle boiled water and it only took 5 minutes to bring it to body temperature, so using the Advent Bottle Warmer is actually a step backwards in terms of speed. The biggest flaw however is that, unlike a boiling kettle, it won't switch itself off once it reaches temperature. So, if baby kicks off and you get distracted (e.g. changing a nappy), then the bottle temperature will keep rising and rising. There's no thermometer, thermostat, or timer, so you need to set your own timer and 'babysit' the bottle warmer so it is turned off at the right time. I don't know if there is a better alternative specialist bottle warmer on the market, but I'll be writing to Philips to complain about the false advertised warming time of 3.5 minutes for a 120ml bottle. In conclusion, if you have a kettle, then save your hard earned cash and don't buy this bottle warmer.